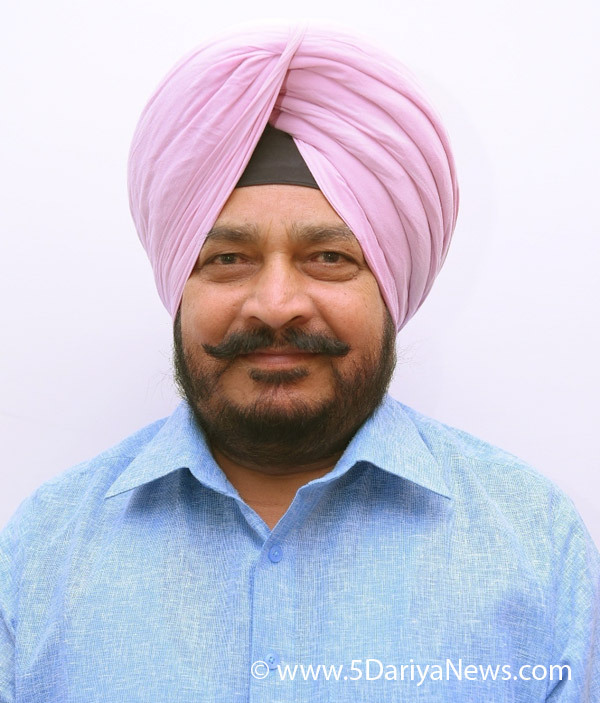 The Scheduled Castes, Backward Classes & Minority Welfare Minister, Punjab, Mr. Sadhu Singh Dharamsot has said that during the current year 2018-2019 the government has targeted to provide job related loans to 6400 youth belonging to SC category under various welfare schemes and a provision of Rs. 24 crore has been made for the purpose. He further said that the aim of these schemes is to provide financial assistance to the SC youth for augmenting their income so as to make them self dependent.Giving a clarion call to youth hailing from the SC category to derive benefit from the welfare centric schemes for commencing their own ventures, the minister said that the direct loan scheme, bank tie up scheme, self employment scheme for rehabilitation of manual scavengers are being run with the assistance of the Punjab Scheduled Castes Land Development and Finance Corporation apart from various other loan schemes being run with the aid of SNFDC, NSKFDC and NHFDC. He also said that these schemes are being run by the Union Government and the State Government with the capital in the proportion of 49:51. Dharamsot further said that under the direct loan scheme, those SC youth would be eligible for availing loans whose family income would not exceed Rs. 1 lakh annually. Divulging more, he said that as per the NSFDC scheme the limit of Rs. 3 lakh annually has been set for SC youth from rural and urban areas whereas there is no such limit for the youth availing loan under SNKFDC. He also said that under SNHFDC schemes too no such limit has been fixed but in 90 percent cases the income must be less than Rs. 5 lakh annually.Mr. Dharamsot further said that the corporation has chalked out a proposed programme for the year 2018-19 with number of beneficiaries being 6400, share capital Rs. 10.63 crore, subsidy Rs. 5 crore, SNFDC loan Rs. 6.75 crore, SNKFDC loan Rs. 1.80 crore, SNHFDC loan Rs. 2.70 crore and bank loan Rs. 12.50 crore. He also added that during the year 2017-18, 371 beneficiaries were disbursed the loan amount of Rs. 5.61 crore for starting their own venture. He also said that the Punjab Scheduled Castes Land Development and Finance Corporation has till now waived off the loans up to Rs. 50000 of 14269 people and the total amount comes to Rs. 46 crore.